Contributor: Ankeny Area Historical Society, Ankeny, IA. This is a collection of memorabilia from World War I collected by the Ankeny Historical Society in Ankeny, Iowa. This is a collection of items pertaining to World War I donated to the Ankeny Historical Society in Ankeny, Iowa. 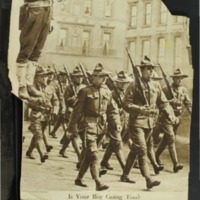 Included in this collection are booklets, advertisements, pictures and photographs of clothing and miscellaneous items owned by Iowa soldiers during World War I. A collection of WWI scrapbooks that were created by students, faculty and the surrounding community at Buena Vista College, Storm Lake, IA. The books include newspaper clippings, images, drawings and annotations about the events of the war and how it impacted campus life at Buena Vista. A catalog for an exhibit about the Civil War, shown at the Cedar Falls Historical Society from February to August 2007. The exhibit included items demonstrating the impact of the war on the Cedar Falls area. This catalog is also the M.A. thesis for Cynthia Rae Huffman Sweet. This digital collection contains diaries and related items of soldiers from Iowa who fought in the American Civil War (1861-1865). The documents offer valuable insight on their day-to-day activities, accounts of battles, and feelings regarding the war and their time as soldiers. 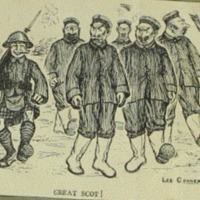 Several of the diaries include full or partial transcriptions. The National Czech & Slovak Museum & Library is the foremost American institution collecting, preserving and interpreting Czech and Slovak history and culture. This digital collection presents a cache of 40 letters written in Czech by John Pospishil, a Czech immigrant to Iowa. 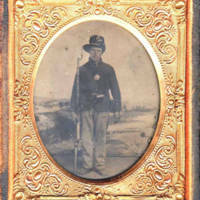 Pospishil was a soldier in the American Civil War from 1862 to 1865 in the 22nd Iowa Volunteer Infantry. His letters were addressed to his father back home in Banner Valley, Linn County, Iowa. Scholars are being sought to help provide a typed Czech-language transcript and an English-language translation, which will be added to the digital collection as they become available.